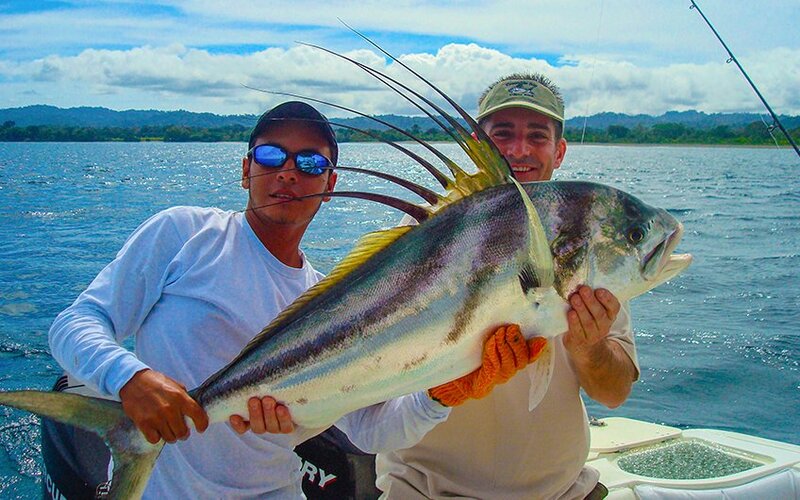 If you are a fishing passionate, let us tell you that Costa Rica is an amazing spot for fishermen. The main reason is its idyllic weather that allows great fishing all year long. Other reason is because all of its water attractions: the country has two oceans, various beautiful lakes and hundreds of rivers. A great thing about thinking in some Costa Rica fishing vacations is that, as it is a small country that can be traveled within few hours, you can do fresh and salt water fishing in the same visit. This can be possible thanks to the short driving distances between one fishing destination and the other one. In fact, not only driving fishermen can access the different fishing spots. Also, by taking a domestic flight, they can be in only 40 minutes flying from the Juan Santamaria International Airport to some of the best fishing spots of the Pacific and the Caribbean coasts. 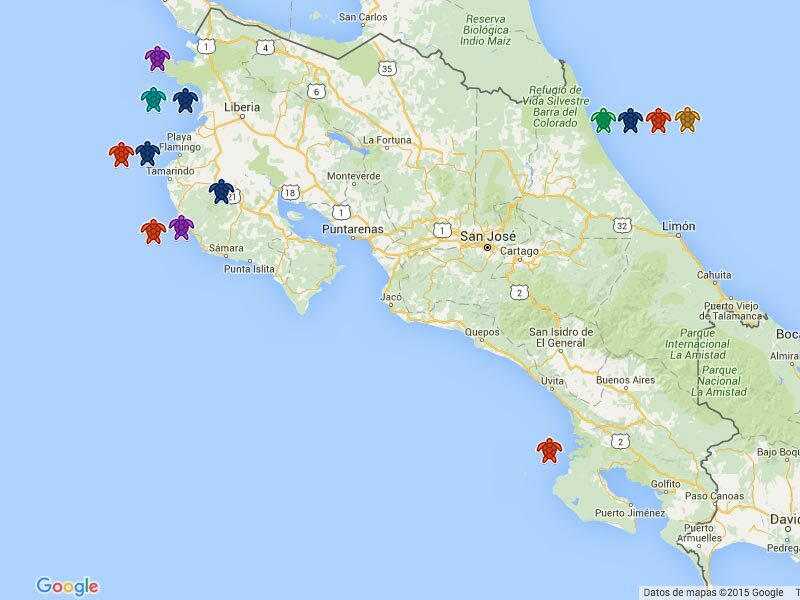 Costa Rica is without doubt one of the best places to visit for beginners and professional fishermen. 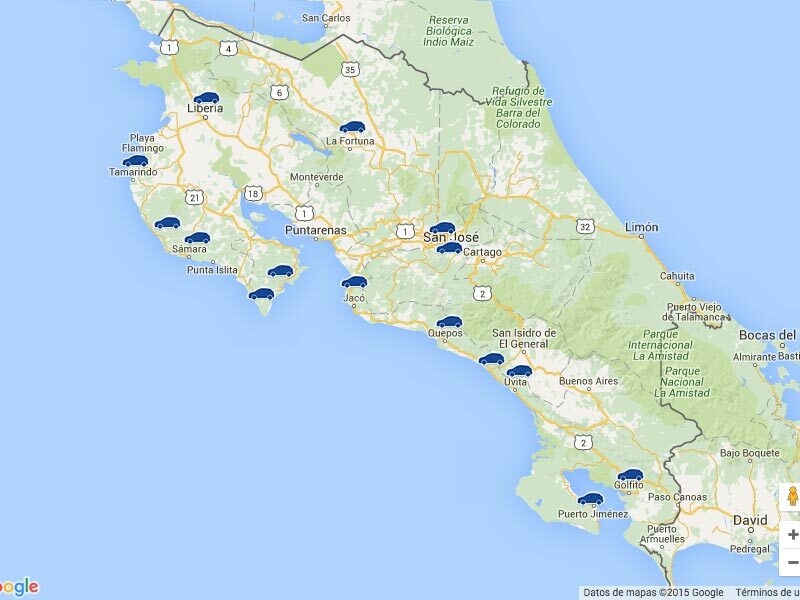 The country has varied fishing tours available in almost all of the regions, and here it is possible to find different Costa Rica hotels specially designed for fishers and their families. This area features two full-service marinas in the Papagayo Gulf and the Flamingo area. The Northern Pacific part of the country, where it is located the Guanacaste province, is one of the most popular tourist destinations of the country. Its beautiful Costa Rica beaches and their high quality all-inclusive resorts make it a region everyone wants to visit when vacationing in Costa Rica. Take into consideration that the best months to enjoy great fishing in this area are May and September. 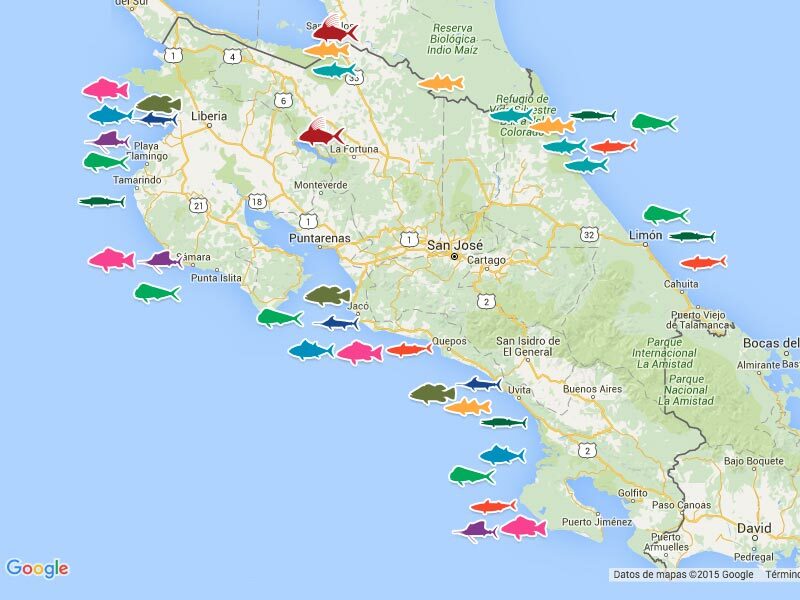 What can you find here and when while fishing in Costa Rica? Dorado: More properly known as dolphin, these colorful gamesters are most abundant from late May through October when the seasonal rains flood the rivers that carry out debris, forming trash lines close inshore they like to lie under. Tuna: Peak months to spot tuna are usually from August through October, but there is almost always tuna anytime of the year. Yellow fin and big eye tuna over 350 pounds are sometimes found near the Catalina Islands, located 30 minutes or less from the beach. Wahoo: Caught in limited numbers throughout the year, the best showing of this species begins about the time when it starts to rain in May; peaking in July and August. Most of the wahoo are caught around rocky points and islands, but you may pick one up occasionally fishing offshore as well. Marlin: Consider that Marlins can be caught every month of the year, especially from mid-November to early March, then slowing a bit from April into early June when it picks up again, peaking in August and September. Roosterfish: They can be caught all year round, but more easily from October through March, in the Papagayo Bay area and the surrounding islands. In this region of Costa Rica, you will find that Quepos, the small town located near the Manuel Antonio National Park, is the fishing center on the Central Pacific coast. 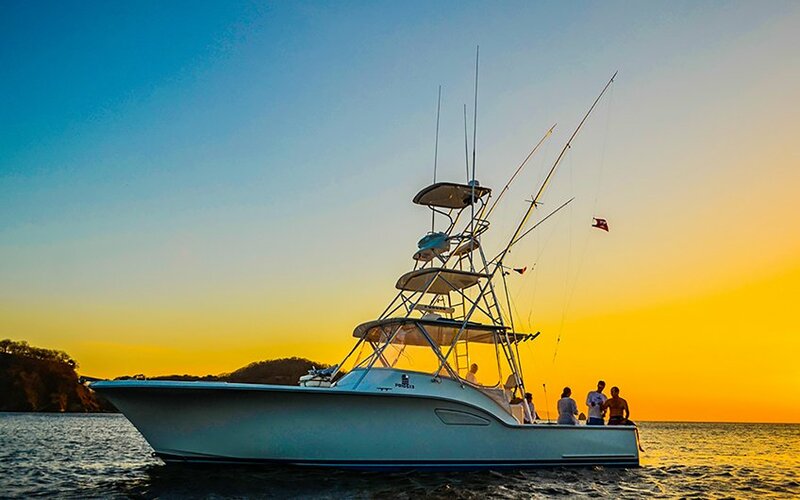 The place features a full-service marina and more than 50 professionally equipped boats in the 27-feet range and up, and also smaller boats well suited for the excellent inshore angling in the area. There are also available multi-day trips to the Drake Bay and Caño Island area (also top diving areas) from Quepos, with overnights at one of the many lodges located on Drake Bay. 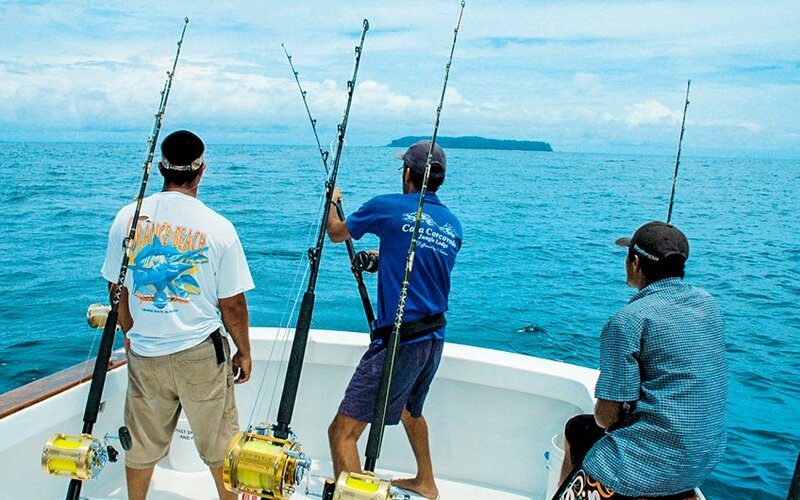 The Central Pacific region of Costa Rica is best known for its presence of wahoo, big cubera and roosterfish and the best months to go fishing there are from November to March. What species can you find here and when? Tuna: Can be found throughout the year as they are all along the Pacific coast, but most abundant from June through September. Most of the ones that can be found here are from 8 to 12 pounders, but a dozen or more over 200 pounds and maybe another two dozen in the 100- to 200-pound range are taken every year. Dorado: Best action for dorados begins with the rains that start in late May and wash debris from the river mouths, which creates the inshore trash lines that the dolphin likes to lie under. Wahoo: This species is pretty rare in the area around Quepos, but more abundant in the late summer farther south, especially near the Caño Island and Drake Bay areas from late June to early August. Marlin: October is normally the top month for spotting marlin in this area, but September and November are also good months to find some of them here. Sailfish: From mid-December to the end of April is rated as the best season to catch sailfish, but the big schools often move in October. Snook: Best spots are just off the many river mouths along the coast, up in the Sierpe River and in the big Sierpe lagoon. The Pacific world-record black snook was taken in the month of July, in the mouth of the Naranjo river on a charter with Captain Jim Geary. Although it is a new fishery, the best months to see them are from July through November, during the heavy rainy season. Roosterfish: Exceptional at the mouth of the Parrita River; Palo Seco between Parrita and Damas; just outside Damas; off the mouth of the Naranjo River; around the points at Dominical Beach and throughout the Drake Bay area. Best fishing is during the summer months, from June through early September. 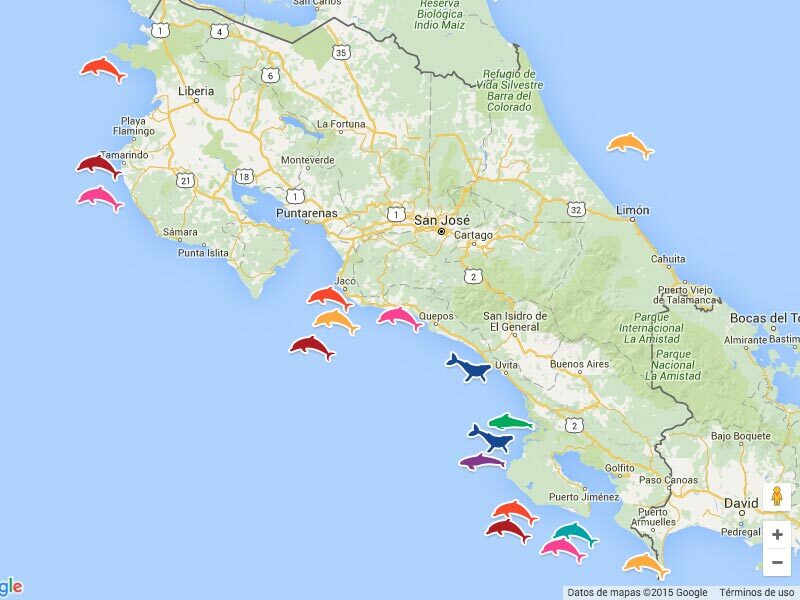 In the Southern region of Costa Rica, Golfito is the fishing center of the coast. In fact, it's here where most ideal “fishing lodges” are located. Across the bay there are some lodges located on Playa Zancudo, a narrow peninsula with miles of beach on the ocean side and the confluence of three rivers on the other side. 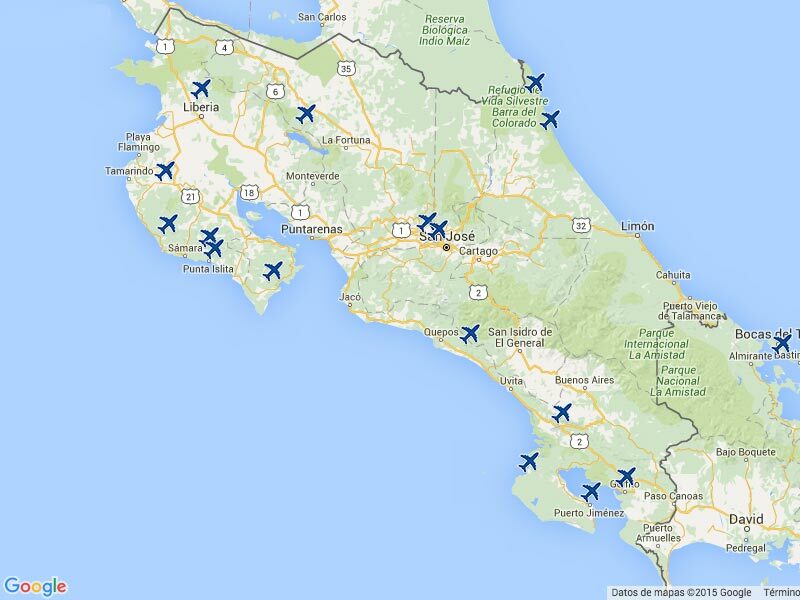 You can book day charters or even, Costa Rica vacation packages with all meals, lodging and an open bar. What can you find in the South Pacific area and when? Roosterfish: The region is famous for its big roosters and the possibility of spotting them almost any month of the year. Some of the ones that are found here are nearly 100 pounds. Marlin: Peak season to caught them is from August through December. But, an occasional blue or black may be taken any month if the water temperature is up. 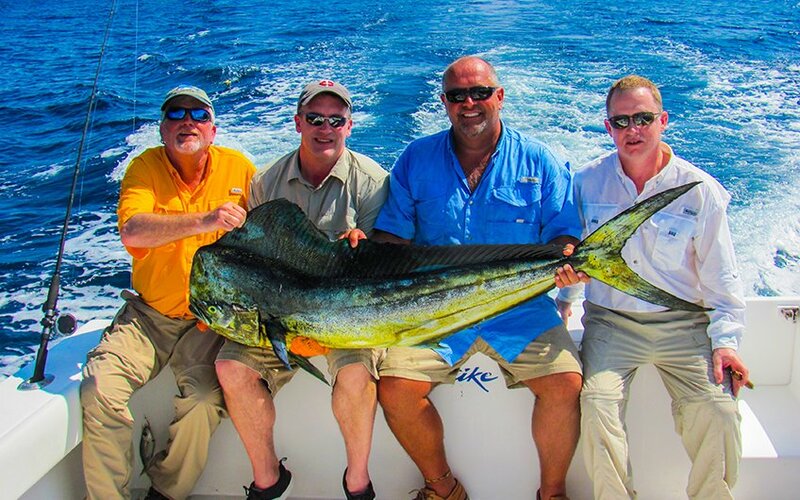 Dorado: Best runs of this species occur traditionally from late May through October. Snook: Can be caught all year, but it is best from middle or late May through July, January and February. 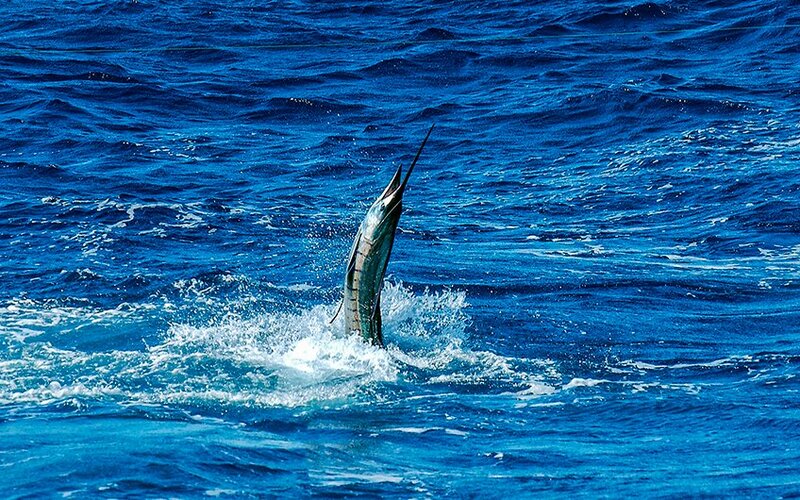 Sailfish: Exceptional fishing of sailfish occurs from December through March. Often slows from April into early June, and then picks up again and begins to peak in August or September. Wahoo: The species is not abundant here, but an occasional wahoo may be taken mostly at any time of the year. But it is rare. Tuna: Here, the best fishing for the bigger ones corresponds with marlin and sailfish season, but the schools of tuna can nearly always be found outside. 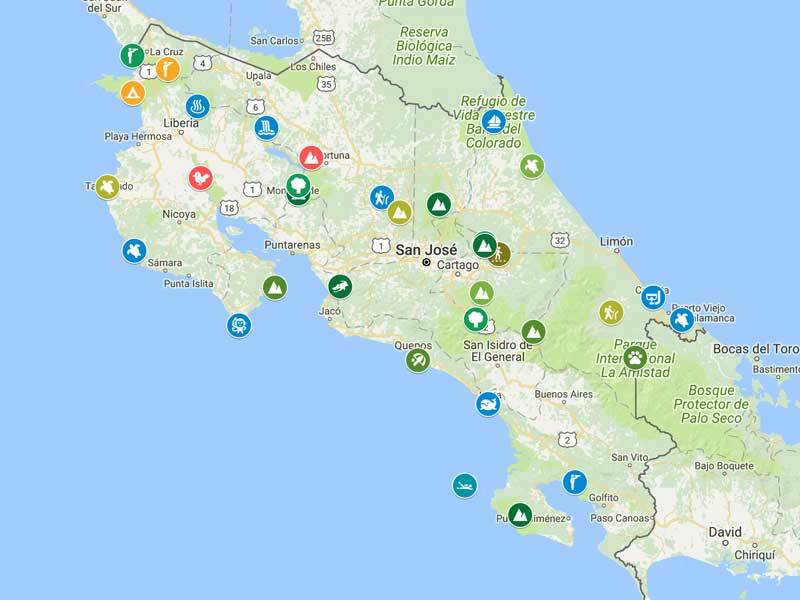 The fishing along Costa Rica's Caribbean coast can vary more from one day to another than from month to month due to the changing weather conditions in the area. Here, the best places are restricted to Tortuguero and Barra del Colorado. Tarpon fishing is promoted by various lodges on Costa Rica's east coast from December through mid-May while snook peak from September through November. But the fish are there year-round, and it's mostly a matter of weather, which can change overnight. The rainy season in the area starts about mid-May, and action slows for a while as the dirty water sweeps out of the rivers. Lodges offer full board services, including transportation from San Jose Costa Rica, the capital city of the country. Comfortable accommodations, meals, boats and guides are included in this full-board system. As there are no roads to get to this area, the access is via the domestic airlines or charter flights, or by boat through the Tortuguero Canal system. 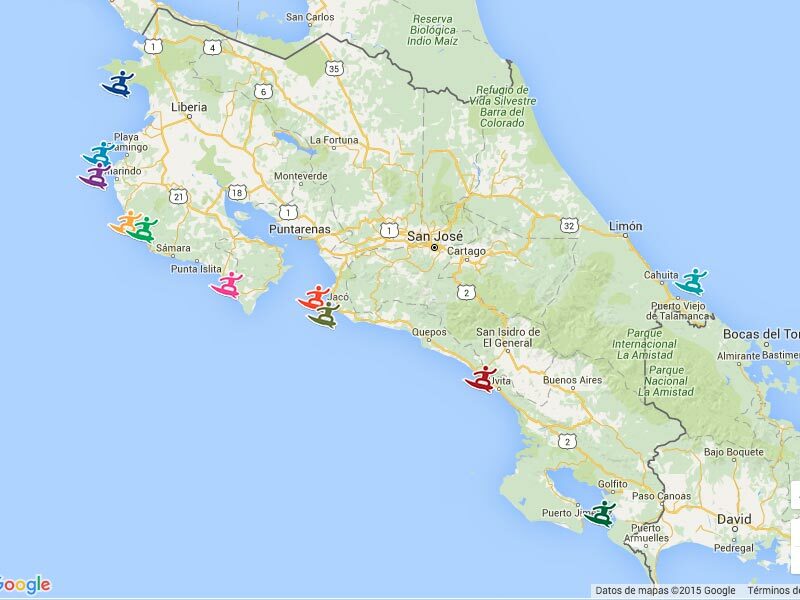 If you are considering now to take some Costa Rica fishing vacations, then take into account that both local and foreign, require a license to fish either inshore or offshore. In fact, many tourists ask for the license when booking the vacation package. 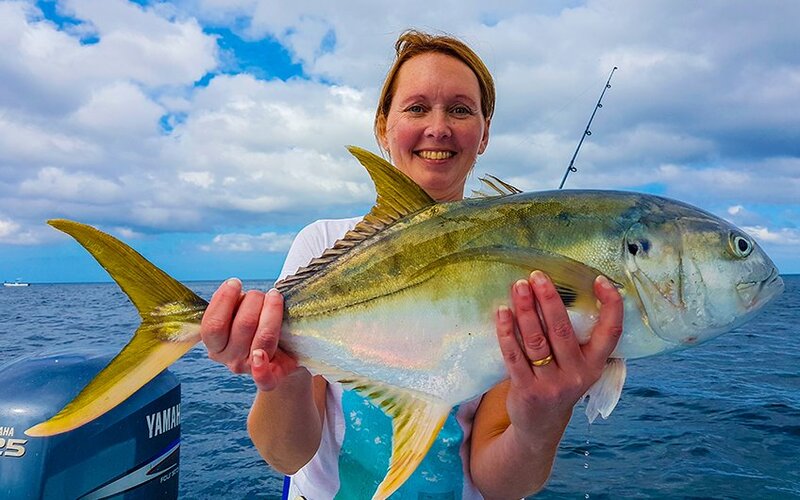 Do not hesitate to contact us if you want to know more information or if you require assistance in the planning of your next fishing escapade.